Teachers always tried to get me to work ahead, plan things out…”Don’t wait to the last minute,” they would say. Goes to figure, that the week I am having things planned out to discuss Arenas and Oricon more, BioWare goes and makes a huge announcement….so there goes those ideas. 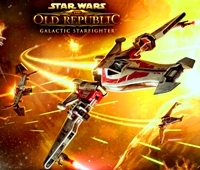 That’s right, BioWare has announced their new expansion for SWTOR – Galactic Starfighter. Part of the new expansion being announced was a video. That seems like a great place to start this week’s HoloNet Links. If you have not seen the newest trailer from BioWare, then prepare for “Conflict Rising.” It is the title of the trailer for the new Galactic Starfighter expansion. For this video was a walk back into my childhood, the sounds were perfect, from the lasers, the engines and explosions. They are just like they sound during the major space battles in the original Star Wars movies. Check out the video and see if it stirs up memories of the movies, not to mention get you ready to strap in to your own fighter to take on the opposing faction in battle! Just seven days since releasing Update 2.4: The Dread War, BioWare announced, via the SWTOR website, the latest expansion titled Galactic Starfighter. This expansion, as you might have guessed, is all about Space Combat. This time BioWare is removing the “rails” and players now have free form flight in space in this new expansion. The free form combat based expansion is 12 vs 12 PVP in multiple battle zones and gameplay modes, according to the press release on the SWTOR website. 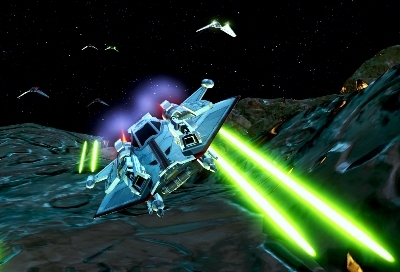 On top of that, players will be able to customize their combat starships from paint schemes and other upgrade options. I’m engaged with five enemy bogeys! How about some help here?! Some of the details of the three class starships and skills have yet to be released, but let’s talk more on what we do know. We know that the expansion will be completely free! It will be available via digital download and completely free. The dates at when it will be able to be played, does vary on a player’s level of subscription. If you are a subscriber by November 1st, 2013, you will have early access starting December 3rd, 2013. That is less than two months from now! If a player has preferred status, someone who has made one purchase on the Cartel Market, will start their early access on January 14th, 2014. All those Free-to-Play players are not out in the cold, they will also have access to the new expansion, starting February 4th, 2014. I think BioWare has really started listening to their fan-base. They are giving the expansion to all players for free. They are giving the bonus of early access for those paying their full subscription. Not to forget those who have the preferred status, BioWare, is giving them early access, but not as long as the subscribers. Oh, and as far as rewards that is not all for subscribers or preferred status players. In the next section we will discuss those other benefits. As I stated in the previous section, there are various rewards depending on what type of subscription plan you have. Besides the early access dates being different for each subscription model, there are also other benefits. 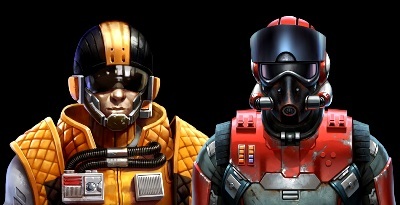 Free-to-Play payment method also is included in extra rewards, they are getting the Imperial Battle Ace and Republic Squadron Commander Pilot suits. 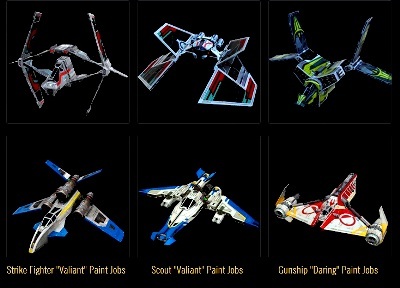 For Preferred Status, they will receive both of the flight suits and the title “Test Pilot.” Now for the subscribers, they will receive both flight suits, the title “Test Pilot” and “First Galactic Starfighter,” plus the “Valiant” paint schemes for the Strike Fighter and Scout Starships. Now anyone who is a subscriber on November 1st, 2013, will also receive two other special items, the unlock for the Gunship Role unlock and an exclusive “Daring” paint scheme for the Gunship. I love that there are rewards for every subscription method. You can read through all the benefits of each of the payment methods on the Galactic Starfighter page on SWTOR, in regards to the new expansion Galactic Starfighter. Now, for me I would go the subscription method and also make sure to subscribe by November 1st or before. If you go with the three month plan, it saves per month on subscription, you will have 1650 Cartel coins, the extra playtime in new Galactic Starfighter expansion, plus all the extras mentioned above when expansion goes live in early access for subscribers. 1. The Quick Travel terminal on the bridge of the Dread Fortress on Oricon will lock again within an hour of being discovered. 2. Locked Quick Travel Terminals sometimes do not display the proper icon to indicate that they are undiscovered. 3. Quick Travel Terminals will sometimes display a “NULL” message when scrolling over them, only to display the correct description when visited later. This occurs most frequently on Oricon. Known bug, no need to create a new thread. All three of these are a bit slippery, as the time frame before #1 occurs is not yet fully locked down, though we know that it’s under an hour but it’s not related to logging out and back in or even to logging into another character and back in. Additionally, #2 and #3 are also not happening with any particular consistency. We’re testing and working on fixes for all of them and appreciate your reports and patience! This is very inconvenient, but they are working on it and it is a known issue. Amber offers some examples of when they have noticed it happening and a couple of possible quick fixes. These fixes are not perfect, but might help until a patch addresses the issue. The bug where the Guardian of the Fortress Affliction ability is causing WAY too much damage per tick is fixed in Game Update 2.4.1, which is intended to be the very next patch! Amber clears up her post about the known issue concerning the Affliction ability from the Guardian of the Fortress. It is doing more damage than it is suppose to be doing. This will be fixed in patch 2.4.1. Oh, and watch out for that Mr. Musco, he might be trolling you or the potential to, lol. This was a great week at CRR! We had a couple of things return to the site. First, Geldarion aka Drew, is back with another Tactical Strike. Now that there is new PVP elements to talk about expect more Tactical Strike articles coming soon! The other returning thing was the second edition of the Guy’s Night podcast! I got the chance to sit in with Drew for a look at the new PVP that arrived in Update 2.4! I want to give a shout-out to Tyler. He was in “take on e” of the Guy’s Night podcast, but due to technical difficulties we lost the first show’s audio. Hopefully we will have Tyler back for another Guy’s Night podcast! This week, I found another great video from the SWTOR community. We look at a video by Youtube user, Capo Marmaglia. He has several interesting videos on his channel, but the one I have posted below, takes a look at the Smuggler story levels 1-55. It has in-game video footage, both from cutscenes and some of his gameplay videos. The editing is really great and he makes the most out of some epic scenes, like when the Smuggler gets his ship, which honestly is one of my favorite moments in any of the class stories. The truly genius way this video comes together is the fact it jams packs all of this in under six minutes. I also like the music by Machinima. It actually sounds very much like some music in the Mass Effect trilogy and fits SWTOR with the epic style music found in Star Wars films, albeit this music is more electronic, but the scope it has is the same, at least to me. Let us know what you think. Also if you have seen a great video or have made one yourself and would like it to possibly be highlighted in this article, just send me an email with the video link and a brief description to jason@corellianrun.com.